For the motion for "whole" refer here. Song: "God Is So Good"
If I sang praise to God with just a little of my heart it would sound like this (have one small puzzle piece on the heart and sing part of a song weakly). I was also thinking about what I want to play later. Did I use all of my heart to praise God? If I sang praise to God with half of my heart it would sound like this (Have half the puzzle pieces on the heart and sing part of a song “half-heartedly”). I was thinking about God some but also thinking about what I wanted to eat for lunch. Did I use all of my heart to praise God? If I sang praise to God with all of my heart it would sound like this (have all the puzzle pieces on the heart and sing part of a song enthusiastically). I was thinking about how God loves me and how He is a good God. Did I use all of my heart to praise God? (Read John 3:16) God loved the whole world. That includes you! God loves you! What happens with you believe that God raised Jesus Christ from the dead? You get born again, have holy spirit, and are God’s child! When we sing praise to God we can think about His wonderful love for us. (review the Heart Puzzle from Day 1 emphasizing thinking about God’s love). (Read Ephesians 5:19b) God wrote this to people that are born again. When you know that God loves you and He is your heavenly Father, then you have great reasons to sing to God with your whole heart. (review the Heart Puzzle from Day 1). 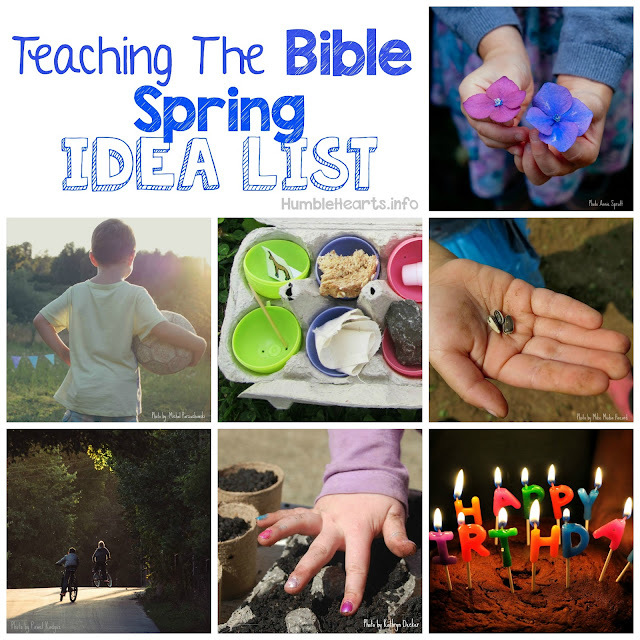 Heart Pouch part 3: Make a heart pouch from “Love God With All Your Heart” teaching ideas. Print out a picture of people singing. Have your child put the picture in the heart pouch. 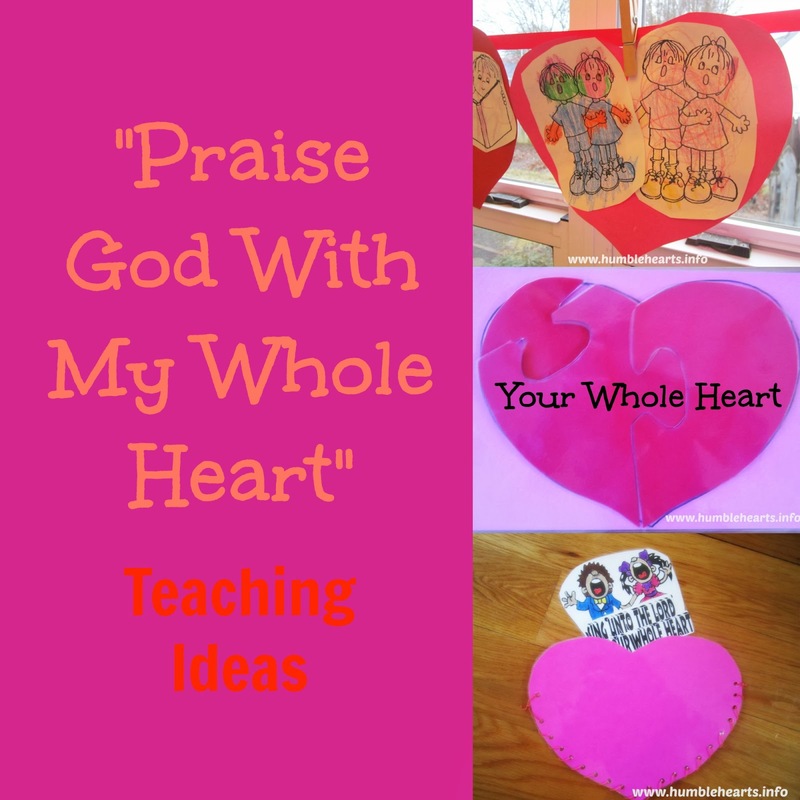 Heart Banner part 3: Make a heart banner from “Love God With All Your Heart” teaching ideas. 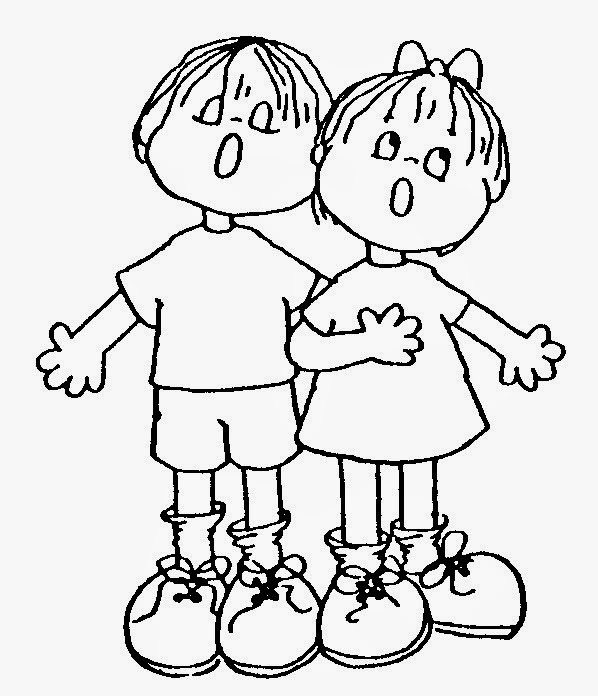 For the third heart, have your child color a picture children singing, then glue it onto the heart.